Joakim Agustín Soria…is married, Karla…has two children: Angela and Joakim Jr…through the Joakim Soria Foundation, joined forces with the State of Guerrero and Mexican Navy to raise funds and provide assistance to families affected by hurricanes Ingrid and Manuel in 2013. Began the 2018 season with the Chicago White Sox and had 16 saves and a 2.56 ERA in 40 relief appearances when he was traded to Milwaukee July 26…went 3-1 with a 4.09 ERA in 26 outings with the Brewers and combined for a 3-4 record, 16 saves and a 3.12 ERA in 66 relief appearances overall…struck out 75 batters in 60.2 innings (11.13 per nine innings), which matched his career high from his rookie campaign of 2007…walked just 16 for a strikeout-to-walk ratio of 4.69…surrendered four home runs, an average of 0.59 per nine innings…held the opposition to a .225 batting average, which included a mark of .194 (24-for-124) against right-handed hitters compared to .259 (29-for-112) against left-handers…surrendered three of his four home runs to lefties for a .402 slugging percentage (.282 against righties)…yielded a .206 batting average with runners in scoring position, including .094 with RISP and two outs…converted 16-of-21 (76.2%) save opportunities…allowed 5-of-21 (23.8%) inherited runners to score…first batters faced hit .206 with a .242 on-base percentage… now has a .204 (121-for-594) average and .251 on-base percentage against first batters faced in his career…posted a 4.64 ERA in 37 outings on zero or one day of rest, a 1.30 ERA in 29 appearances on two days rest or more…compiled a 1.87 ERA in 35 games against American League teams, a 4.67 ERA in 31 outings against National League competition…did not allow a run in two games against Seattle and now has a 0.77 ERA (3 er in 35.0 ip) and has converted each of his 21 save opportunities in 34 career appearances against the Mariners…has not allowed a run in 17 games at Safeco Field (16.2 ip)…did not commit an error for the fourth consecutive season and now has a 297-game errorless streak dating back to his last miscue on May 27, 2014. MAJORS: Did not allow a run in nine of his first 10 appearances through the end of April (2.70 ERA)…the one exception was April 5 against Detroit when he allowed three runs on four hits in one inning for the blown save…struck out a season-high three batters April 17 at Oakland (also July 1 at Texas and Aug. 24 vs. Pittsburgh)…allowed seven runs in 4.1 innings over a five-game span from May 1 to 18 (12.465 ERA)…then did not surrender an earned run in 30 of his next 31 appearances from May 21 to Aug. 8…had a 0.61 ERA and .160 opponents batting average over that span and was 12-for-13 (92.3%) in saves…had a 15-game, 15.1-inning scoreless streak from May 30 to July 3…compiled four saves over his first 21 games through June 3…then converted each of his eight save opportunities over an 11-game stretch from June 5 to July 1…made the 600th appearance of his career June 26 against Minnesota and retired the side in order in the ninth inning of the White Sox 8-4 win…did not allow a run in 12 outings in June (11.2 ip) and converted each of his seven save opportunities while holding the opposition to a .128 batting average…now has a 2.08 ERA (25 er in 98.1 ip) in 107 career appearances in June, his lowest ERA for any month of the season…tossed a season-high 1.2 innings July 1 at Texas…it was one of just three outings longer than one inning (1.1 ip on June 5 at Minnesota and July 11 vs. St. Louis)… held the opposition scoreless in his final six games with Chicago and his first five with Milwaukee for a 10.0-inning scoreless streak from July 8 to Aug. 5…was credited with his 16th and final save of the season in his last appearance with the White Sox on July 24 at Los Angeles (AL)…was traded to the Brewers two days later with cash for two minor league pitchers: left-hander Kodi Medeiros and right-hander Wilber Perez…had a 1.59 ERA over his first seven games with Milwaukee before he was placed on the disabled list Aug. 10 with a right adductor strain…missed 11 games and did not have a rehab assignment before he was reinstated from the DL Aug. 24… allowed nine runs over an eight-game stretch from Aug. 29 to Sept. 14 (12.15 ERA)…including Sept. 1 at Washington when he yielded a career-high tying four runs in 0.2 innings (10th time, last: Aug. 15, 2017 at Oakland)…did not allow a run in his final eight regular season appearances and held the opposition to a .095 batting average (7.0 ip, 2 h, 1 bb, 7 so)…struck out the only batter he faced Oct. 1 at Chicago (NL) in the Brewers 3-1 win in the tie-breaker to help Milwaukee to the NL Central title…had three scoreless appearances in the NLDS against Colorado (2.2 ip, 1 h, 1 bb, 5 so)…was the winning pitcher in the Brewers 3-2, 10-inning win in Game 1 (1.0 ip, 1 so)… then surrendered four runs in four NLCS outings against Los Angeles (2.0 ip, 4 h, 4 r, 4 er, 2 bb, 3 so, 18.00 ERA)…had a 7.71 ERA in seven postseason appearances overall. Appeared in 59 games with Kansas City … recorded 20 holds, tied for 12th-most in the American League and one short of his career best set in 2016 ... Ranked second among major-league relievers with a 0.16 home run ratio (1 HR/56.0 IP) … averaged 10.29 strikeouts per 9.0 IP (64 SO), his best rate since 2009 (11.72) ... Limited right-handers to a .205 (24-117) average and first batters to a .193 (11-57) mark ... Threw a season-high 2.0 IP on 4/9 at Houston … matched his career high with four strikeouts on 4/15 vs. the Angels (fifth time) … earned wins in back-to-back outings on 6/21 vs. Boston and 6/23 vs. Toronto … recorded his only save on 7/3 at Seattle ... Was on the 10-day disabled list from 8/18-9/15 with a strained left oblique ... Participated in the World Baseball Classic for the second time, appearing in two games for Team Mexico (0 ER/1.2 IP). Tied for ninth in the American League with 70 appearances…over the last two seasons, his 142 relief outings are tied for 14th in the Majors...Matched his career best with five wins…also established career highs in losses (eight), hits allowed (70), runs allowed (31), home runs allowed (10) and walks (27)…his eight losses were second-most by an AL reliever this season and most by a Royals reliever since Dan Quisenberry's nine losses in 1985...Surrendered seven earned runs in his first 12 outings (5.73 ERA)…rebounded to post a 2.08 mark (6 ER in 26.0 IP), while holding opponents to a .200 average (18-for-90) in 24 outings between May 1 and June 30…had a 9.00 ERA (7 ER in 7.0 IP) in eight July outings, before posting a 2.70 ERA in August and a 6.00 ERA in September...Went 4-4 with a 3.13 ERA (11 ER in 31.2 IP) and a .244 opponents' average (29-for-119) vs. AL Central foes…he was 1-4 with a 4.88 ERA (19 ER in 35.0 IP) and a .295 opponents' average (41-for-139) vs. all other divisions...Posted a 4-2 record with a 4.02 ERA (14 ER in 31.1 IP) in 32 appearances at home, while he was 1-6 with a 4.08 ERA (16 ER in 35.1 IP) in 38 outings on the road...Did not allow a run in 11 straight outings between Aug. 5-28, spanning 10.1 innings…in that time, he held the opposition to a .158 average (6-for-38), allowing three walks and recording 13 strikeouts...Surrendered a career-high tying four runs on July 23 vs. Texas, most recently doing it on July 10, 2015 at Minnesota…the four hits he allowed in the 2.0-inning appearance also matched a season high...Allowed game-ending runs on three occasions, including his seventh career walk-off home run, by Detroit's Jarrod Saltalamacchia on July 17…also walked off twice at Cleveland on June 2 on Mike Napoli's sacrifice fly and on Sept. 20 on Brandon Guyer's RBI single. Joakim signed a three-year free agent contract on December 10, 2015, with a mutual option for the 2019 season...Made a career-high 72 appearances combined between Detroit and Pittsburgh, going 3-1 with a 2.53 ERA and 24 saves in 30 chances...Acquired by the Pirates on July 30 in exchange for minor league infielder JaCoby Jones...Ranked fifth in the A.L. in saves (23) at the time of the trade...set the Tigers' club record for saves in the month of April (nine)...Earned career save No. 200 on July 22 vs. Seattle...became the first Mexican-born pitcher to record 200 big league saves...Posted a 1.64 ERA (6 ER in 33.0 IP) over his final 35 appearances, dating back to July 17...surrendered just one home run (Brian Dozier, July 10) over his final 43 outings (40.0 IP), dating back to June 25...Recorded an 0.51 ERA (1 ER in 17.2 IP) in 18 appearances at PNC Park. Opened the 2014 season with the Texas Rangers before being acquired by the Tigers in exchange for Corey Knebel and Jake Thompson on July 23...Appeared in 13 games with the Tigers and had a 1-1 record with one save and a 4.91 ERA (11.0IP/6er)...Struck out the side on April 8 at Boston, April 30 versus Oakland and June 29 versus Minnesota...Did not allow a run in 12 consecutive appearances from April 27-May 25 (11.2IP) -- allowed just three hits and struck out 16 during that stretch...Finished the month of May with a 0-1 record, four saves and a 1.13 ERA (8.0IP/1er) in nine appearances...Sidelined August 10-September 10 with a left oblique strain...Recorded his first save with the Tigers on September 16 at Minnesota...Did not allow a run in nine of his last 10 appearances to finish the season -- compiled a 0.96 ERA (9.1IP/1er) with four hits allowed during that stretch...Limited opponents to a .213 (10x47) batting average with runners in scoring position...Lefthanders hit .255 (26x102) against him...held righties to a .174 (12x69) batting average...Posted a 1-3 record, five saves and a 4.18 ERA (23.2IP/11er) in 25 outings at home...compiled a 1-1 record, 13 saves and a 2.18 ERA (20.2IP/5er) in 23 road appearances...Posted a 1-3 record, 16 saves and a 2.67 ERA (30.1IP/9er) in 32 games prior to the All-star break...recorded a 1-1 record, two saves and a 4.50 ERA (14.0IP/7er) in 16 appearances after the break...Did not allow a hit in 26 of 48 games on the season. After missing the entire 2012 season due to "Tommy John" ligament replacement surgery on his right elbow, Soria returned and played a key role in the Rangers bullpen over the final 3 months … went 1-0 with a 3.80 ERA (10 ER/23.2 IP) in 26 relief outings for Texas after joining the club in early July…had 5th-most appearances among Rangers after he was activated on July 7. Spent the entire season on Kansas City's disabled list...left spring training appearance on March 18 vs. CLE due to pain in his right elbow...underwent surgery to repair a damaged ulnar collateral ligament in the elbow on April 3 with Dr. Lewis Yocum performing the procedure...opened the season in the 15-day disabled list and was moved to the 60-day DL on May 3...became a free agent when Kansas City declined his 2013 contract option on October 31, 2012...last appearance in a regular season game was Sept. 11, 2011 at SEA (1.0 IP, 1 H, 0 R, SV)...last victory came on July 23, 2011 vs. TB. SAVES: Has recorded 160 saves in 180 opportunities in his major league career, an 88.9% success rate that ranks as the 4th highest percentage all-time (since saves became an official stat in 1969) among pitchers with at least 180 save tries... since becoming Kansas City's full-time closer on July 31, 2007 and through 2011, has converted 150 of 167 (89.8%) save chances, the 3rd-highest percentage of any major league closer in that span (minimum 100 save opportunities) behind Mariano Rivera (91.8) and Jose Valverde (89.9)...ranked 5th in the majors with 115 saves from 2008-10 and 7th with 143 saves from 2008-11...ranks 3rd on the Royals all-time list with 160 saves behind Jeff Montgomery (304) and Dan Quisenberry (238)...earned 30+ saves in 3 consecutive seasons from 2008-10, becoming the 1st Royal to accomplish that feat since Montgomery (1991-93)...placed 2nd in the A.L. in saves in both 2008 (42) and 2010 (43), the 4th and 5th highest totals in team history...set a Royals club record by converting a career-high 36 consecutive save chances from May 13-September 30, 2010, one of just 10 streaks of 36+ saves since 1969. CAREER LEADERS: Has 242 hits allowed, 341 strikeouts and just 87 walks in 315.1 innings in his major league career...his 3.92 strikeouts to walks ratio ranks as 9th best all-time (since 1921) among ML relievers with at least 300.0 innings...also ranks among the all-time relief pitchers (min. 300.0 IP) in lowest WHIP (11th, 1.04), fewest baserunners/9.0 innings (13th, 9.76) and most strikeouts per 9.0 innings (15th, 9.73)...career opponents' batting average is .210, 11th lowest among active pitchers (min. 300.0 IP), .208 vs. LHB and .211 vs. RHB...ranks 7th in Royals history in pitching appearances (298). Joakim had a disappointing year by his standards,saving 28 in 35 opportunities,setting career highsin wins, losses, blown saves (7), a 4.03 ERA and 7 home runs allowed. ... Was successful in 6 of his first 7 save chances before blowing 4 of 5 from May 11-30 and removing himself from the closer's role ... resumed the role on June 9 and was 21-for-23 the remainder of the season. ... Had a 6.55 ERAin his first 13 outings, but posted a 2.58 ERAin 37 appearancesfrom June 1 through the remainder of the season. The 2010 Bruce Rice Royals Pitcher of the Year ended the campaign with a career-high 43 saves, two rescues backof A.L. leader Rafael Soriano of Tampa Bay and also two saves shy of the Royals' single-season record held byDan Quisenberry (1983) and Jeff Mongtomery (1993)...was 43 for 46 in save opportunities...Recorded his third straight season with 30 or more saves, becoming the first Royal to post back-to-back-to-backseasons with 30 or more saves since Jeff Montgomery from 1991 to 1993...Montgomery and Dan Quisenberryeach had five 30-plus save seasons for KC...Selected to his second A.L. All-Star team (also 2008), but did not appear in the game in Anaheim...is 1 of 6 Mexicanbornplayers to be named to multiple All-Star Games...Fernando Valenzuela paces the list with 6 selections...Set Royals record by converting 36 saves in a row from May 13-September 30 before blowing a save on the finalday of the season on October 3 vs. Tampa Bay...destroyed the previous mark of 24 straight by Jeff Montgomeryin 1993...the blown save against the Rays also halted Joakim's club-record 23.2 scoreless innings streak by areliever...Recorded his 94th career save on April 25 vs. Minnesota, breaking Aurelio Lopez' record for a Mexican-bornpitcher...Posted his 100th career save on May 26 vs. Texas...according to Elias, became the sixth-youngest in MLB historyto 100 saves...Compiled a 1.05 ERA in his final 44 appearances from June 11, allowing 5 earned runs in 43.0 innings. Recorded his second straight season with 30 or more saves, becoming the first Royal to post back-to-backseasons with 30 or more saves since Jeff Montgomery from 1991 to 1993...Montgomery and Dan Quisenberryeach had five 30-plus save seasons for KC...Posted 11.72 strikeouts per 9 innings, the highest single-season ratio in franchise history among pitchers withat least 50.0 IP...the mark ranked third in the Majors among pitchers with 50.0 or more innings this season...the previous best for a Kansas City pitcher was 10.34 by Scott Service in 1998...Robinson Tejeda also toppedService with 10.63 strikeouts per 9 innings in 2009...Recorded at least one strikeout in 40 of 47 appearances...Led the Majors with 5 saves of 2.0 or more innings...no other pitcher recorded more than two...His save percentage of 90.9% (30-of-33) ranked sixth in baseball...over the last two seasons, he has beensuccessful in 92.3% of save opportunities (72-of-78), second in MLB to Mariano Rivera among pitchers with40+ opportunities...Represented Mexico at the World Baseball Classic, working 2.0 scoreless innings in a pair of outings...Blew his fi rst save opportunity on June 11 at Cleveland, ending a streak of 16 consecutive save conversionsdating to an August 20, 2008 blown save, also at Progressive Field. Developed into one of the best and most dominating closers in baseball, putting together one of the best seasonsas a closer in Royals history...was named a unanimous winner to the 2008 Bruce Rice Award for Royals Pitcherof the Year...His 42 saves in 45 chances were the second-most in the A.L. (Francisco Rodriguez-LAA, 62), the third-most inbaseball and the fourth-best single-season mark in Royals franchise history...Posted 42 saves in 45 opportunities for a 93.3 conversion rate, good for third-best in the Majors behind Brad Lidge(41-for-41, 100%) and Mariano Rivera (39-for-40, 97.5%)...93.3% was the best pct. in Royals franchise history...Became 1 of 14 closers in Major League history (min. 30 saves) to record more saves (42) than hits allowed (39)...accomplished 16 times, as a pair of closers (Dennis Eckersley and Armando Benitez) did it twice...After two seasons, Joakim already ranks third on the Royals all-time saves list with 59...Set a record for saves by a Mexican-born closer...broke the mark of 28 set by Detroit's Juan Acevedo in 2002...his59 career saves are 34 shy of Aurelio Lopez' career record for Mexican-born pitchers of 93...Opponents hit just .170 against him, the second-best mark in Royals history for a pitcher with at least 30.0 innings(Robinson Tejeda-2008, .163)...his opponent batting average was the fourth-best in baseball (min. 50 IP)...Posted a 0.77 ERA (35.0 IP, 3 ER) at home, the third-best mark in baseball (min. 30 IP)...the total is the best homeERA in KC franchise history among pitchers with at least 30 home innings...Opponents hit .094 (13-for-139) against him with 2 strikes, the best mark in the A.L. and second to the Cubs' CarlosMarmol (.074) in the Majors...Was scored upon in just 8 of his 63 appearances...He had a streak from April 2-26 in which he retired 24 consecutive batters...Worked 16.1 consecutive scoreless innings to begin the season, coming up 0.2 of an inning shy of Hipolito Pichardo's1997 club record...He opened the year with 13 consecutive saves to establish a club record, breaking Al Hrabosky's previous teammark of 11-for-11 to start the 1978 season...blew his fi rst save chance on June 7 at New York...Was signed to a 3-year contract extension through 2011 with 3 additional club option seasons on May 17...Named the Royals Pitcher of the Month for May and June...posted a 2.19 ERA and was 6-for-6 in saves in Mayand 10-for-11 with a 1.42 ERA in June...He retired 28 of his last 29 hitters leading up to his second blown save on July 7 at Tampa...Was named to his fi rst Major League All-Star game on July 6...he became the fi rst Kansas City reliever to head to theMid-Summer Classic since Mike MacDougal in 2003...worked 1.2 innings allowing 2 hits and 2 walks with 2 K's...he fanned David Wright in his fi rst inning of work, then K'd Dan Uggla with the bases loaded in the 12th inning...He tied Jeff Montgomery's 1993 pre-All-Star break franchise record of 25 saves...Has recorded a save against every A.L. team after closing out a win on August 4 vs. Boston...Named the DHL Delivery Man of the Month in September as the Majors' best relief pitcher...went 1-0 with 9 savesin 9 opportunities, not allowing a run in 10.1 innings...Soria's 9 September saves were a KC franchise record andtied with the Angels' Francisco Rodriguez for the most in the Majors. Had a spectacular rookie season out of the Royals bullpen serving as theprimary closer for a majority of the season and also the team's set-up man...The native on Monclova, Mexico went 2-3 with a team-high 17 saves and a2.48 ERA in 62 games...Among Royals rookies with at least 65 innings, his 2.48 ERA is the lowest inthe 39 years of Royals baseball...The 17 saves led all Major League rookies by 12 over Boston's Hideki Okajima...his 2.48 ERA was the third-best among all rookie pitchers in baseball...Held opponents to a .187 (46-for-246) average as he struck out 75 in just 69.0innings, recording 9.78 strikeouts per 9 innings, tied for the Major League leadamong rookie relievers (Ryan Rowland-Smith, SEA)...His .187 opponent batting average was the lowest ever recorded by a Royalspitcher with a minimum of 65 innings pitched and the fourth-best in theAmerican League...The Royals were 44-18 in the games he pitched, including 17-3 in his final 20appearances...Allowed just 3 home runs (all to righties) in 69 innings pitched...is 1 of just 6pitchers in baseball to allow 3 or fewer homers and toss that many innings...Made his Major League debut on April 4 vs. Boston, picking up 2 outs whilewalking 1...Earned his first big league save on April 10 at Toronto, pitching 2 scorelessinnings with 3 strikeouts in the Royals 6-3 win...Picked up his first Major League win on April 18 at Detroit, entering a tie gamein the bottom of the ninth and then, after a Royals run, tossing a scoreless10th...Earned the save in a 3-1 win over the Twins on April 22...closed out the winfor fellow countryman Jorge De La Rosa, marking just the 11th time in MLBhistory that Mexican pitchers picked up both the win and save in the samegame...accomplished the feat again on May 2 vs. Los Angeles...Was placed on the 15-day D.L. with right shoulder inflammation on May 26...missed the minimum 14 games before being activated on June 7...Was dominant in the month of June, tossing 11 shutout innings over 10appearances, allowing just 3 hits and 3 walks while striking out 13...Established a team season high with 20.1 consecutive scoreless innings fromMay 22 to July 21 (covering 18 games)...fell just 2 innings short of the Royalsrecord by a reliever (22.1 by Rusty Meacham in 1994)...Returned to Mexico during the All-Star break to marry the former Karla Palazueloson the beach in San Carlos, Sonora...Was named the Royals Pitcher of the Month for September after going 1-0with 3 saves and recording a 1.59 ERA (11.1 IP, 5 H, 2 ER) in 10 outings. Spent a majority of the season with Mexico City in the Mexican League, servingas the Red Devils primary closer...went 0-0 with 15 saves and a 3.89 ERA (37.0IP, 37 H, 16 ER) in 39 relief appearances...Also made 7 relief outings with Fort Wayne (A) in the San Diego Padres system...went 1-0 with a 2.31 ERA (11.2 IP, 5 H, 3 ER)...walked just 2 with 11 strikeoutsas opponents hit just .132 (5-38) against him...Pitched with Obregon in the Mexican Winter Leagues, recording a 9-1 recordwith a 2.41 ERA (78.1 IP, 60 H, 21 ER, 20 BB, 79 SO) in 13 starts...Led the Mexican Winter League in wins and strikeouts and finished 2nd in ERA...tossed just the 3rd perfect game in Mexican League history on Dec. 9 againstHermosillo...he struck out 9 and threw 101 pitches. Missed the entire 2003 season recovering from Tommy John surgery on his right elbow. 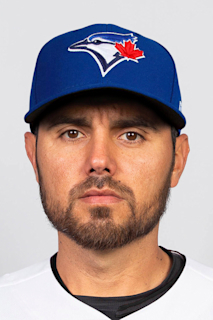 December 21, 2018 Oakland Athletics signed free agent RHP Joakim Soria. October 30, 2018 RHP Joakim Soria elected free agency. August 24, 2018 Milwaukee Brewers activated RHP Joakim Soria from the 10-day disabled list. September 16, 2017 Kansas City Royals activated RHP Joakim Soria from the 10-day disabled list. December 10, 2015 Kansas City Royals signed free agent RHP Joakim Soria. December 10, 2015 Kansas City Royals placed RHP Joakim Soria on the 10-day disabled list. Left oblique strain. November 2, 2015 RHP Joakim Soria elected free agency. July 31, 2015 Pittsburgh Pirates activated RHP Joakim Soria. September 10, 2014 Detroit Tigers activated RHP Joakim Soria from the 15-day disabled list. July 7, 2013 Texas Rangers activated RHP Joakim Soria from the 60-day disabled list. July 3, 2013 Texas Rangers sent RHP Joakim Soria on a rehab assignment to Frisco RoughRiders. June 28, 2013 Texas Rangers sent RHP Joakim Soria on a rehab assignment to Round Rock Express. June 26, 2013 Texas Rangers sent RHP Joakim Soria on a rehab assignment to AZL Rangers. June 26, 2013 Joakim Soria roster status changed by Round Rock Express. June 20, 2013 Texas Rangers sent RHP Joakim Soria on a rehab assignment to Frisco RoughRiders. June 9, 2013 Texas Rangers transferred RHP Joakim Soria from the 15-day disabled list to the 60-day disabled list. Recovering from March 2012 Tommy John surgery. March 31, 2013 Texas Rangers placed RHP Joakim Soria on the 15-day disabled list retroactive to March 22, 2013. Recovering from March 2012 Tommy John surgery. December 4, 2012 Texas Rangers signed free agent RHP Joakim Soria. November 3, 2012 RHP Joakim Soria elected free agency. May 3, 2012 Kansas City Royals transferred RHP Joakim Soria from the 15-day disabled list to the 60-day disabled list. April 4, 2012 Kansas City Royals placed RHP Joakim Soria on the 15-day disabled list retroactive to March 26, 2012. Recovering from March 2012 Tommy John surgery. June 2, 2009 Kansas City Royals activated RHP Joakim Soria from the 15-day disabled list. May 11, 2009 Kansas City Royals placed RHP Joakim Soria on the 15-day disabled list retroactive to May 8, 2009. Sore right shoulder.